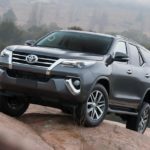 As you know, many car manufacturers keep entering the SUV market. After all, this has been one of the most profitable segments in the last years. So, either with new generations or with brand new SUVs like the 2018 Nissan Kicks, the offer keeps increasing. 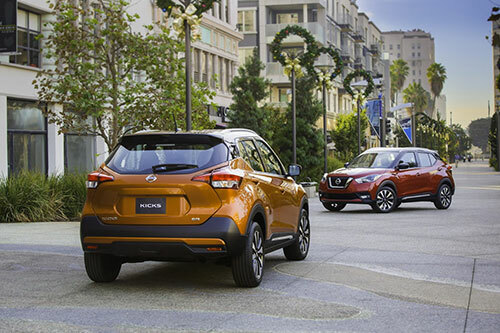 The 2018 Nissan Kicks is a small crossover SUV that can carry up to 5 passengers and will go beneath the Rogue Sport. It is meant for younger drivers and young couples as well. 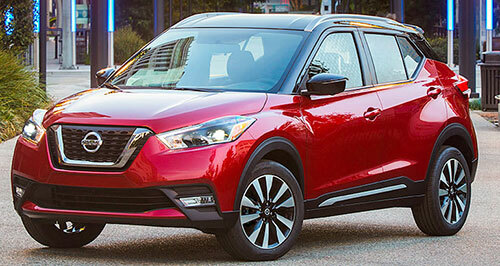 One of the things that are still unknown is whether the 2018 Nissan Kicks will replace the Juke or not. While there are some rumors pointing in this direction, we are just not sure about it at the moment. So, let’s discover everything that the 2018 Nissan Kicks has to offer. 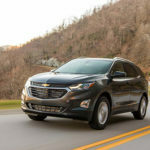 Discover the top cars for 2018 and 2019. 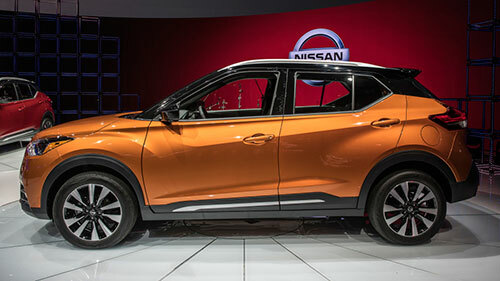 The 2018 Nissan Kicks was debuted at the 2017 Los Angeles Auto Show. Even though there is no official date for the release yet, we believe that the 2018 Nissan Kicks should arrive during the spring of 2018. The reality is that there isn’t an official price set for the 2018 Nissan Kicks yet. However, most rumors tend to point that the starting price of the 2018 Nissan Kicks should be around $22,000. While the 2018 Nissan Kicks has only been debuting now, the reality is that its concept car is dated from back 2014. At the time, it was shown at the Sao Paulo Motor Show in Brazil. 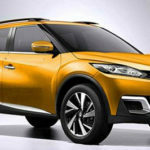 And this happened for one reason: the 2018 Nissan Kicks is the result of a collaboration of the Nissan studios in San Diego, California and Brazil. While the 2018 Nissan Kicks is small in size, the reality is that it has a lot of cargo capacity which is incredible. In what concerns with the exterior design, the 2018 Nissan Kicks features a gaping grille on the front creating an illusion of a floating roof line. This is a clear answer to that ugly frog-appearance of the Nissan Juke. 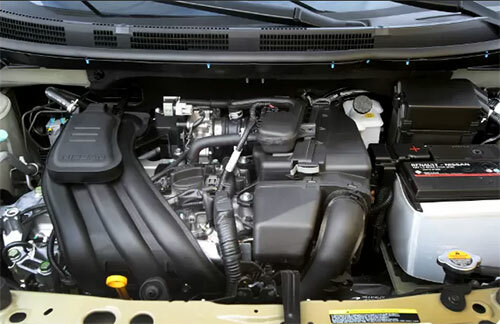 Under the hood of the 2018 Nissan Kicks, you can expect to find a 1.6-liter four-cylinder engine that is capable of producing 125 of horsepower and 115 pounds per feet of torque. 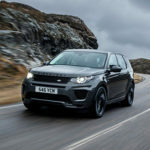 While this engine doesn’t seem to be very impressive, the truth is that it is very efficient and has a fuel economy estimated at 33 mg combined. In terms of the gearbox, you can expect to get a continuously variable automatic transmission. One of the things that we believe are going to be different with the 2018 Nissan Kicks is the fact that the 2018 Nissan Kicks will be front-wheel drive only. While this is one of the options of most Nissan large crossovers, you also have the option with other drives as well. However, this won’t happen with the 2018 Nissan Kicks. 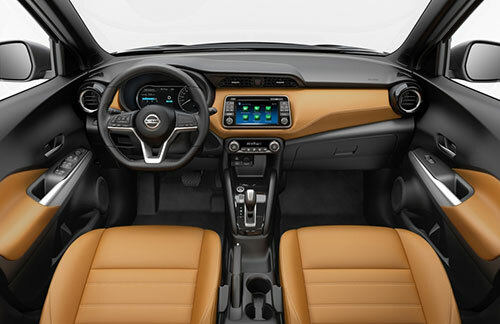 Inside the cabin, the 2018 Nissan Kicks is very conventional. While designed to accommodate up to 5 passengers, the reality is that the 2018 Nissan Kicks should only be perfectly comfortable for only 2 or three passengers at most. However, the cargo space is incredible. While there is no leather upholstery, you also need to understand that the 2018 Nissan Kicks is entry-level. The 2018 Nissan Kicks features 3 different trims levels: S, SV, and SR. 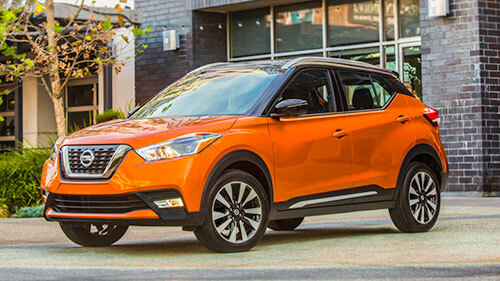 However, the standard 2018 Nissan Kicks already includes a lot of features such as Bluetooth connectivity, automatic headlights, and automatic emergency braking, among others. On the higher trims, you’ll also have the chance to have a 7-inch display, Android Auto and Apple CarPlay compatibility, automatic climate control, blind-spot monitoring, Nissan’s Around View backup camera rear spoiler, fog lamps, among others.